CHD-102. 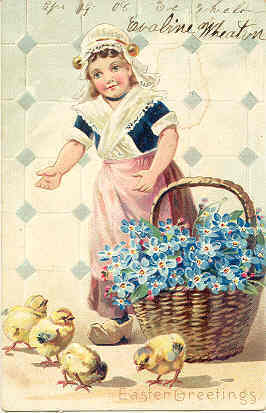 An Excellent Post Card vintage 1906 published by Tuck Sons, and with an embossed surface. Card has an UDB-UNU with writing on backside and in Excellent condition in every other way. Buyer pays 1.95 S H for U.S. delivery 1st Class USPS. Buyer is responsible for insurance as all cards are very well packaged and I will not be responsible for loss or damage once the card has been shipped.Discounted S H available for multiple post card purchases. I accept Cashiers Check, Money Order, or Personal Check. I DO NOT ACCEPT CREDIT CARD PAYMENT OF ANY SORT.